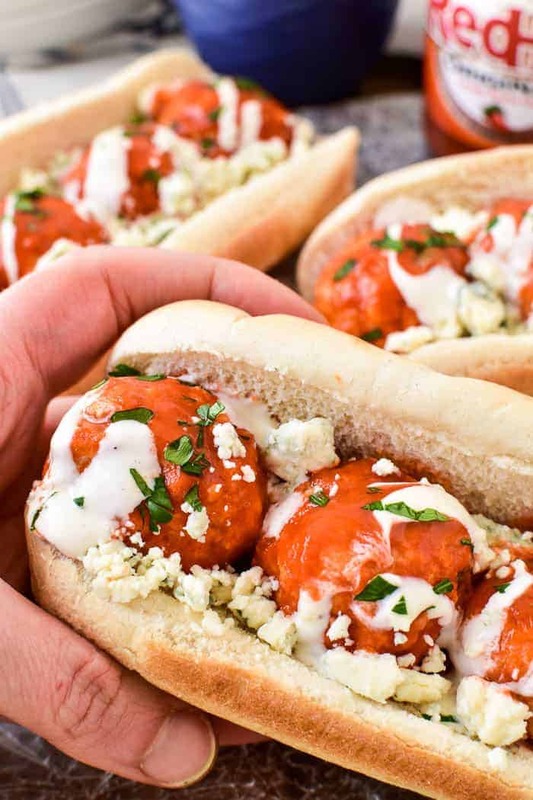 Buffalo Chicken Meatballs…made in the slow cooker! These meatballs are loaded with delicious ingredients and packed with the BEST flavor. 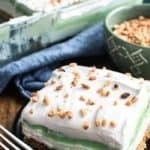 They make a great easy appetizer or sandwich, and are perfect for game days, parties, or summer tailgating. Best of all, they couldn’t be easier to make! They’re slow cooker ready in 30 minutes or less, and ready to eat in no time. If you love buffalo chicken, you’ll go crazy for these easy Slow Cooker Buffalo Chicken Meatballs! 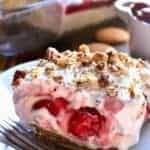 Combine ground meat, milk, breadcrumbs, egg, and seasonings in a large mixing bowl. Mix until all ingredients are incorporated. Roll into 1 1/2 inch balls and place on a large rimmed baking sheet. Broil on high 5 minutes on each side to brown, then transfer meatballs to a slow cooker. Pour sauce over meatballs; cover and heat on low 2-3 hours. 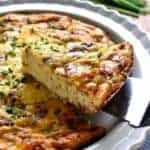 Serve as an appetizer or as part of a main dish. WHAT GOES WELL WITH BUFFALO CHICKEN MEATBALLS? Since buffalo sauce is spicy, it’s best when served with a creamy dressing to cool things down. Buffalo chicken is traditionally served with blue cheese dressing, but I also like a combination of crumbled blue cheese and ranch dressing. And buffalo chicken is ALWAYS served with carrots and celery sticks! Ok. So I know I was just complaining about the snow…and the fact that I was truly convinced spring would never come to Wisconsin…but today I have to take all that back. Because today it’s 50 degrees! And sunny! And definitely very spring-like. And suddenly I’m feeling ready to do all things outdoors. Like the zoo, and the park, and a backyard cookout, and a Brewers game. And honestly? Part of me feels like we should do it ALL THIS WEEKEND. Because living in Wisconsin, you never know what next week will bring. The good news? Summer really is just around the corner, and there really will be plenty of time to do all the fun things. And these Slow Cooker Buffalo Chicken Meatballs would be the perfect addition to any or all of the fun! There’s just something about buffalo chicken recipes that’s perfect for a crowd. Between the spicy buffalo sauce and the creamy ranch or blue cheese dressing…it’s like a flavor explosion! And it’s ALWAYS a hit. Of course, we love buffalo chicken appetizers, like this Southwest Buffalo Chicken Dip and these Buffalo Chicken Wonton Cups. But it also makes an amazing meal! Buffalo Chicken Pizza Cups? Creamy Buffalo Chicken Noodle Soup? You can’t go wrong. 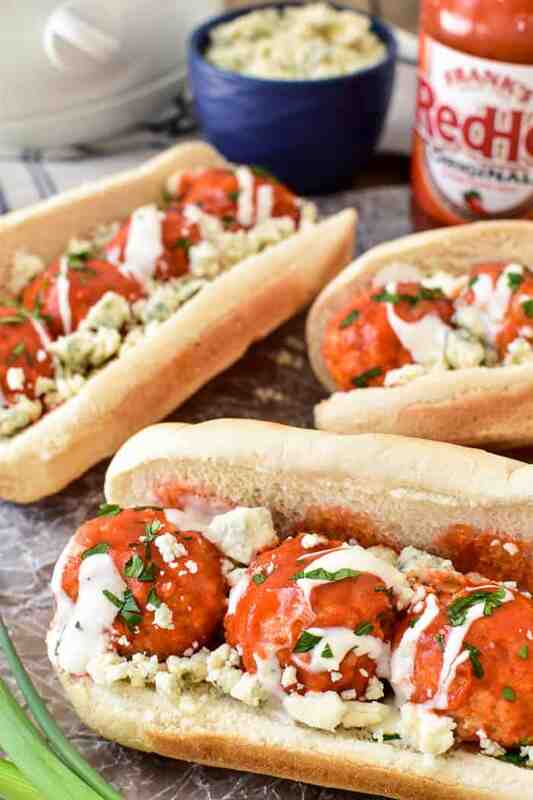 And these Buffalo Chicken Meatballs are no exception. I love how easy these meatballs are to make and the fact that they’re party-ready in just a few hours. And I love how versatile they are, too! 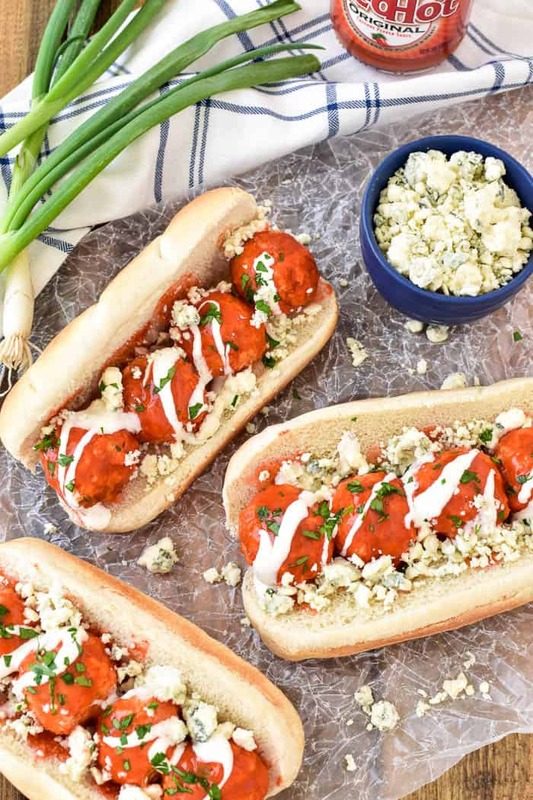 They’re delicious all on their own – as an appetizer, and equally delicious loaded with blue cheese and ranch dressing in a meatball sub. And…they’re easy to shop for, especially when you shop at Pick ‘n Save! Pick ‘n Save has always been my go-to grocery store because I always find exactly what I’m looking for when I shop there. From the ground chicken to the green onions to the blue cheese….Pick ‘n Save has it all. And good thing, because I have the feeling we’ll be making a LOT of these Slow Cooker Buffalo Chicken Meatballs in the coming months. Actually, I’m pretty sure we’ll be making them all year round. 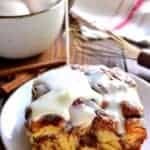 That’s the beauty of slow cooker recipes….they’re perfect for any season! Here’s to all things buffalo chicken….and here’s to spring FINALLY arriving in Wisconsin! 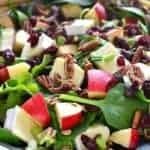 For more recipe inspiration, visit Pick ‘n Save on Facebook, Pinterest, Twitter, and YouTube! 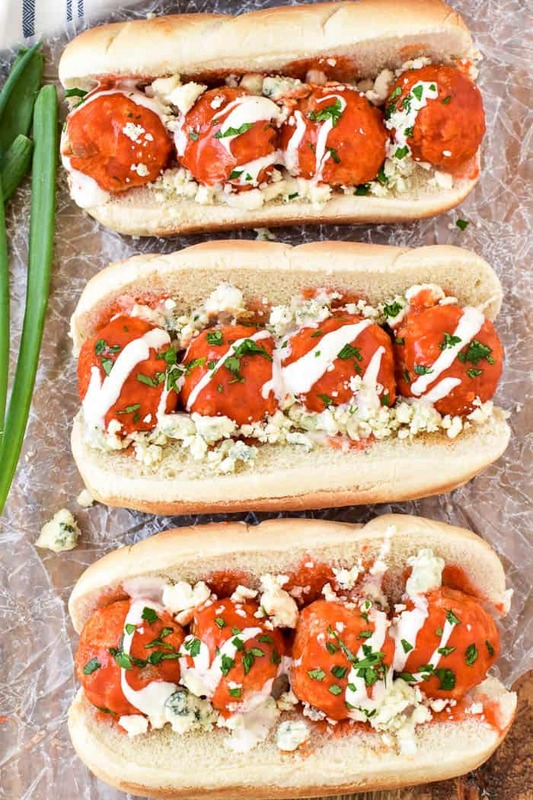 Buffalo Chicken Meatballs…made in the slow cooker! These meatballs are loaded with delicious ingredients and packed with the BEST flavor. 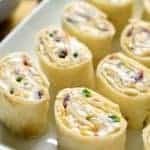 They make a great easy appetizer or sandwich, and are perfect for game days, parties, or summer tailgating. Best of all, they couldn’t be easier to make! 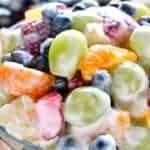 Combine all ingredients in a large mixing bowl, reserving the 12 oz. bottle of hot sauce for the slow cooker. Mix until ingredients are thoroughly incorporated; roll into 1 1/2 inch balls and place on a rimmed baking sheet. Broil on low 4-5 minutes on each side, until lightly browned. Transfer meatballs to a slow cooker; cover with hot sauce. Cover slow cooker and heat on low 2-3 hours. 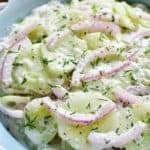 Garnish with crumbled blue cheese, ranch dressing, or blue cheese dressing as desired. This might just become my new go-to dinner. 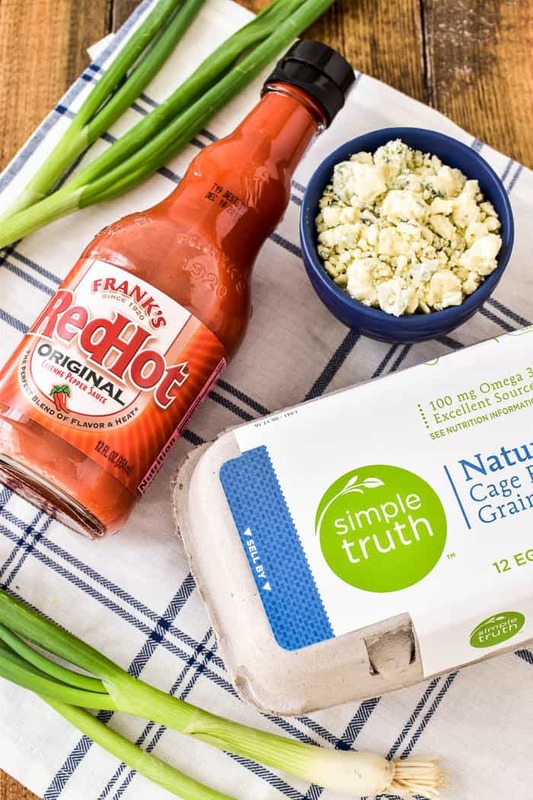 I love all things made with Frank’s Red Hot! Buffalo EVERYTHING in my book! Love this stuff on everything! My Hubby will love these meatballs! 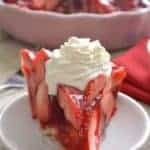 I can’t wait to make a batch! Meatballs are one of my favorite things, and I also LOVE Buffalo *anything*! 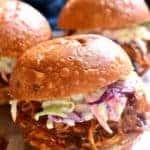 These are awesome, and in the slow cooker, too! 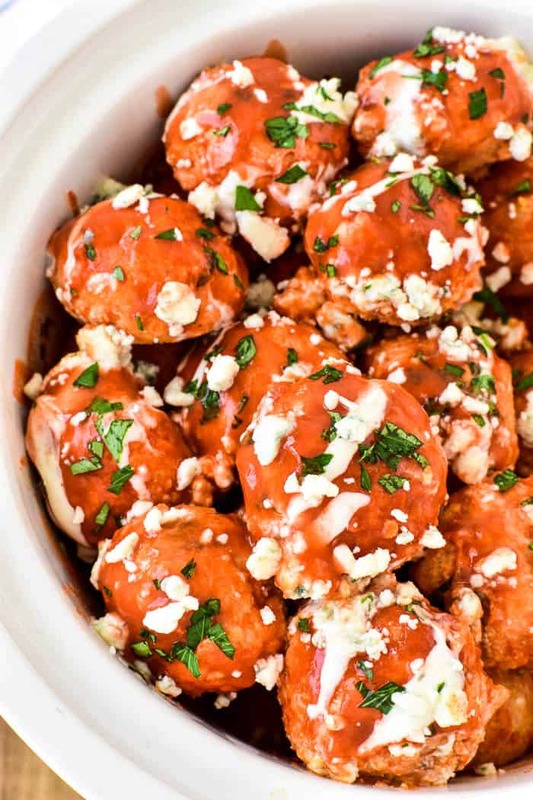 Oh my gosh, yes, give me all the buffalo chicken! I bet my boys would love these, too.